WITH players set to officially start AFL Women's pre-season training next week, there's been plenty happening behind the scenes since the NAB AFLW Draft. Greater Western Sydney will have a completely different assistant coaching panel supporting Alan McConnell in 2019, bringing in Krissie Steen, Roger Moten and Jon Vlatko to replace Adrian Pavese, Tracey Kick and Marc Dragicevic. Moten, the backline coach, was most recently in charge of the Northern Giants side which played in the Winter Series. He was also a development coach with the AFL Giants' team in 2016 and 2017. Steen is a member of the new AFLW coaching academy and will be in charge of the midfield. She coached South Adelaide to a premiership this year in the SANFLW, having also won a flag with SAWFL team Adelaide Uni last year. Forward-line coach Vlatko was Moten's assistant during the Winter Series and was the Giants' AFLW runner this year. He has previously been an assistant coach with the NSW women's academy. AFL players Brett Deledio and Heath Shaw will also be involved as development coaches, with Shaw returning after filling a similar role in the 2018 season. Ellie Brush had a strong year for GWS in 2018, playing all seven games and providing strong run out of defence. 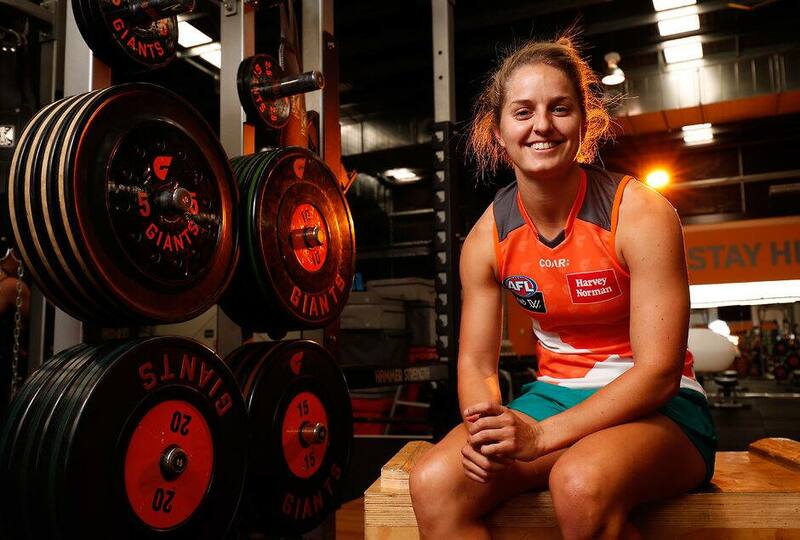 She has previously juggled W-League soccer with Western Sydney Wanderers and footy with GWS but has made the decision to focus solely on AFLW this summer. "Being a 'dual athlete' over the past two years is something I'm very proud of and I'm also very grateful to have been able to have those opportunities," Brush said in an Instagram post. "However, as it is becoming increasingly difficult to pursue both as they increase in professionalism – a fantastic thing for sport in this country – I've decided to make the difficult call to step away from W-League for the 2018/19 season and focus on AFLW with GWS Giants." The W-League season runs from 28 October to 2 February, with finals played after that. The AFLW pre-season for GWS begins on 17 November, with its first game on 3 February. Richmond enters the AFLW in 2020 but is starting to put its off-field team in place. Former Collingwood midfielder/forward Lauren Tesoriero has joined the club as its full-time AFLW/VFLW recruiter. The 32-year-old played 11 games over two seasons with the Pies, before being delisted at the conclusion of the 2018 season. She joined the VFLW Tigers over winter, playing eight games. VFL Women's side (and Melbourne affiliate) Casey Demons has retained the services of former Carlton AFLW coach Damien Keeping for the 2019 VFLW season. Keeping coached Carlton in the 2017 and 2018 AFLW seasons before parting ways with the club. He took Casey to 10th (out of 13 sides) in the club's first VFLW season, winning five games. "We're pleased that Damien has signed on for another year. He came on late last year and we're really pleased with what he was able to do with our program," Melbourne's general manager of football operations Josh Mahoney said. "His work was highlighted by seven girls getting drafted (through expansion club signings, rookie listings and the draft) in the AFLW for next season. That's a priority for us with the VFLW team, in that we want to create pathways to the AFLW for the girls. "Damien was able to play his role within that and we're pleased that with this announcement, he can build his own program and start putting resources around him to make it the best program it could be."